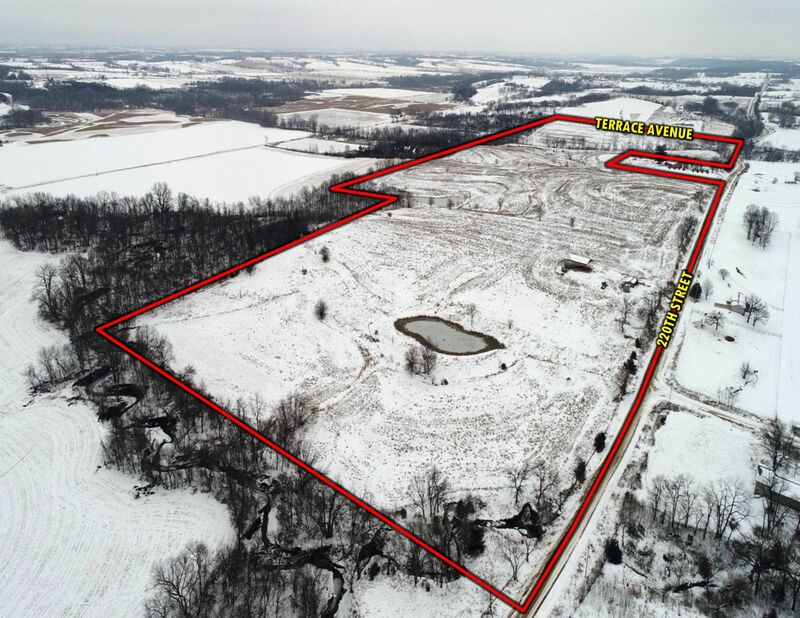 Peoples Company is proud to offer 96.8 acres m/l of prime Madison County farmland. 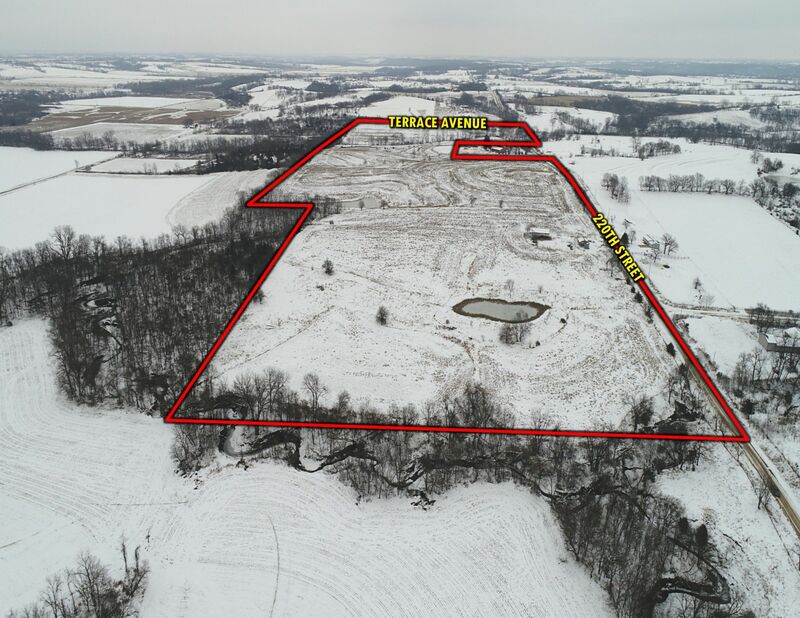 This farm is roughly 96% tillable, carrying a weighted average CSR2 of 61.4 across the tillable acres. Conveniently located and just minutes west of Interstate 35, easy access is provided to the Des Moines metro and surrounding areas. 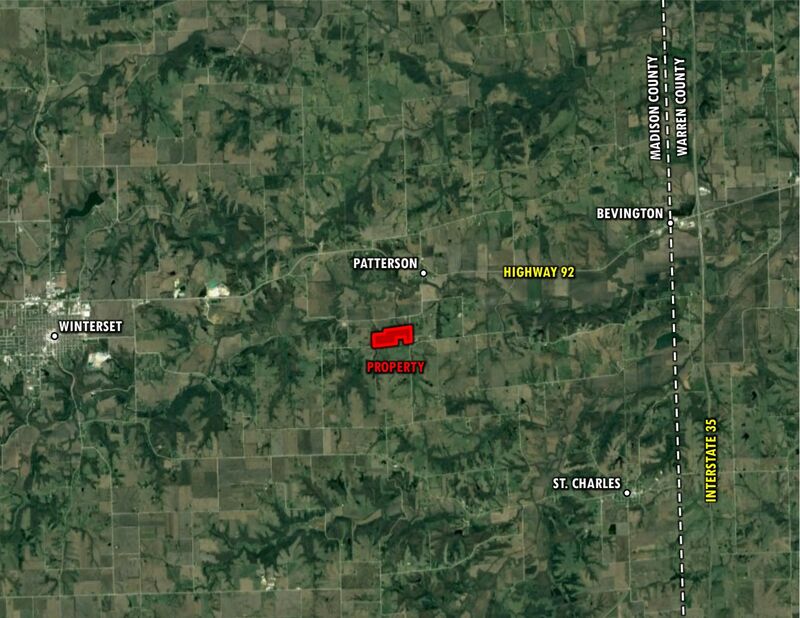 76.14 acres are currently enrolled into the CP42 CRP program, paying $234.41/acre through 2027. 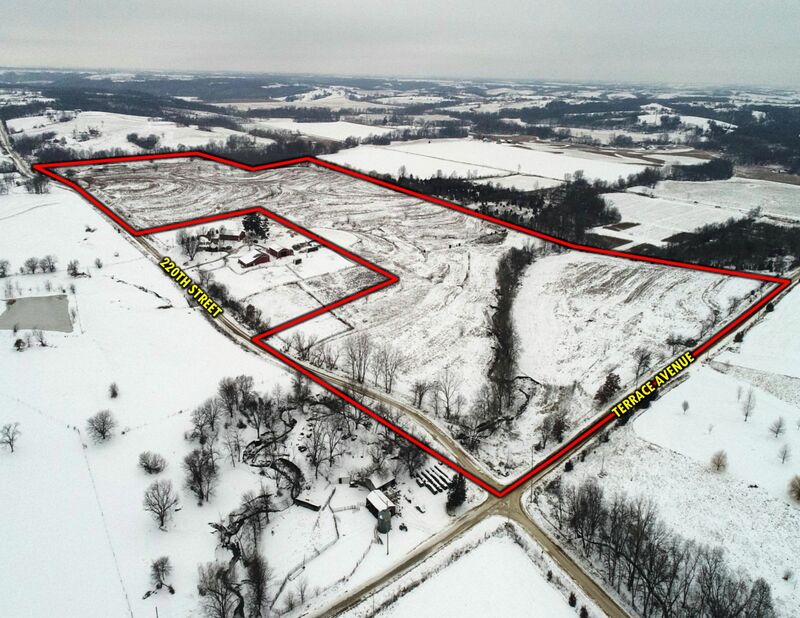 The income on this farm provides a return on investment of nearly 3.5% at asking price! Multiple areas of the farm offer an excellent place to build the home of your dreams. 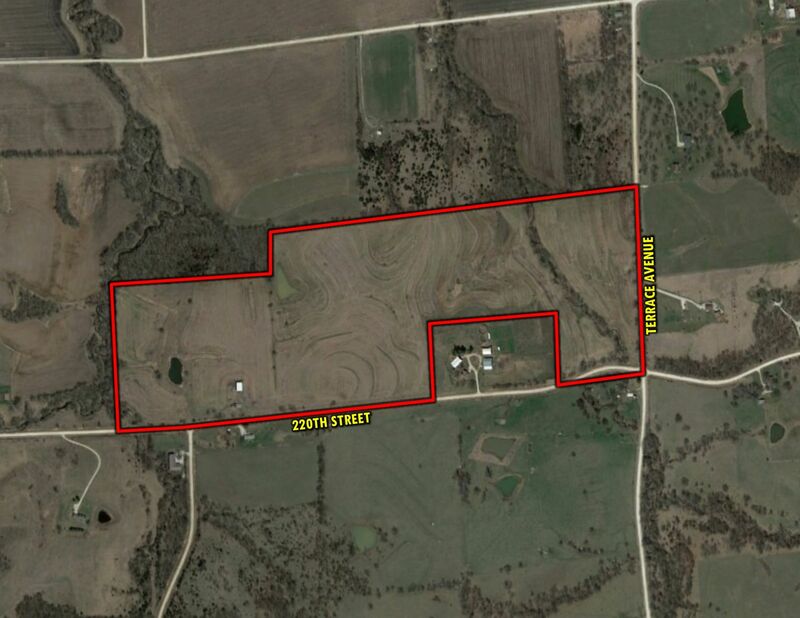 Quail, pheasant, and whitetail deer sign is present, giving the farm an abundance of recreational opportunity. 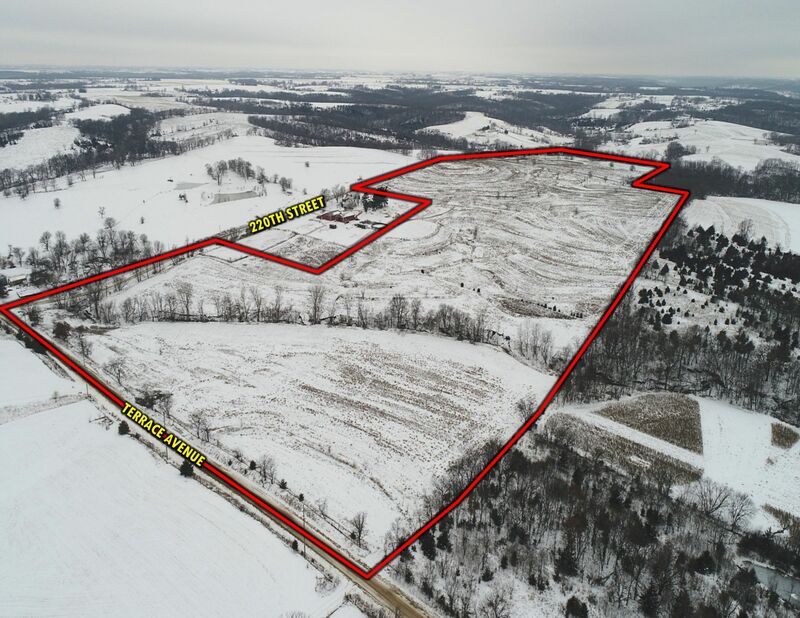 You will find this farm located south of Patterson, Iowa in Section 31 of Crawford Township and in Section 36 of Union Township in Madison County, Iowa. Contact Peoples Company agent Kenny Herring for more information! The South 64 rods of the West 25.87 acres of the South One-fourth (1/4) of Section Thirty-one (31), Township Seventy-six (76) North, Range Twenty-six (26), West of the 5th P.M., Madison County, Iowa; AND the South 64 rods of the East One-fourth (1/4) of the Southeast Quarter (1/4) of the Southeast Quarter (1/4) of Section Thirty-six (36), Township Seventy-six (76) North, Range Twenty-seven (27), West of the 5th P.M., Madison County, Iowa. The East Eighty (80) Acres of the South Half (1/2) of the South Half (1/2) of Section Thirty-one (31) in Township Seventy-six (76) North, Range Twenty-six (26) West of the 5th P.M., Madison County, Iowa, EXCEPT Parcel “A”, located in the East 80 acres of the South Half (1/2) of the South Half (1/2) of said Section Thirty-one (31), containing 12.00 acres, as shown in Plat of Survey filed in Book 2002, Page 5617 on November 15, 2002, in the Office of the Recorder of Madison County, Iowa. From the Interstate 35 and Interstate 80 intersection in West Des Moines, Iowa, head South on Interstate 35 for 17 miles. Take a right turn and head West on Highway 92 towards Bevington, Iowa for 5.1 miles. Turn left onto Long Street and head West for .3 miles.Turn left onto South 4th Street/Terrace Avenue and head South for .9 miles. Turn right onto 220th Street and head West for .5 miles. 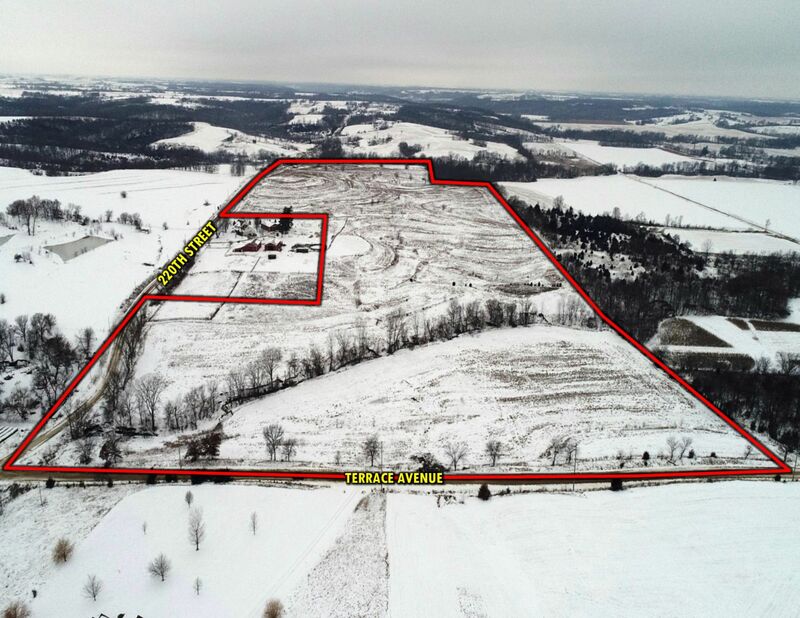 The farm will be located on the North side of 220th Street. Look for company signs.